There was kid who had to be liked and that kid who didn’t want to be liked. Sometimes they were the same kid on different days. Sometimes, maybe, that kid was even you. At the center of The Edge of Seventeen is Nadine. 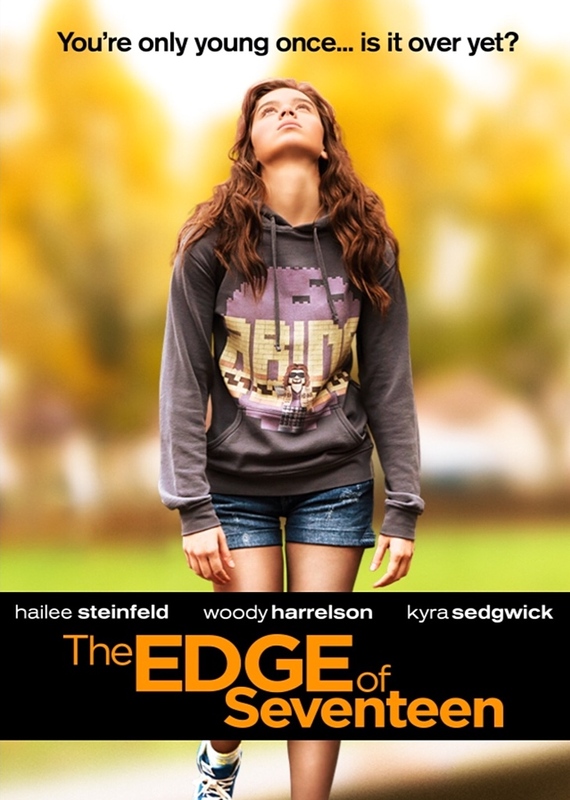 As written by and directed by Kelly Fremont Craig and portrayed by the wonderful Hailee Steinfeld, this kid is way out there, on both sides of that basic equation. Her life is a rollercoaster of emotion. Some of it, we find out in her back story, seems to be nature. In an elementary school drop-off, for instance, we see Nadine stubbornly refuse to get out of the family car for her agitated mother, and then her father use his naturally sweet way to get both of the ladies in his life under control. Later, in that same car, dad suffers a fatal heart attack while he and his daughter are riding together. Life for mom, her, and older brother Darian seems to be a never-ending challenge thereafter. Some of it, we see scene by scene, is obviously of her own making. She snipes constantly at big brother Blake, played by a stoic Blake Jenner. She throws a fit when her best friend Krista, played by a solid No. 2 Haley Ly Richardson, cozies up to her brother after a late night party, and forces her to choose between him and her. She shoots a gotta-have-ya message to an elusive heart-throb of a classmate, Nick. All of this drama she dumps upon a teacher during lunchtime classroom visits. Woody Harrelson does a magnificent turn as Mr. Bruner, a guy who seems to match his student cynicism for cynicism but knows he’s got to be the guy with some sort of answer. 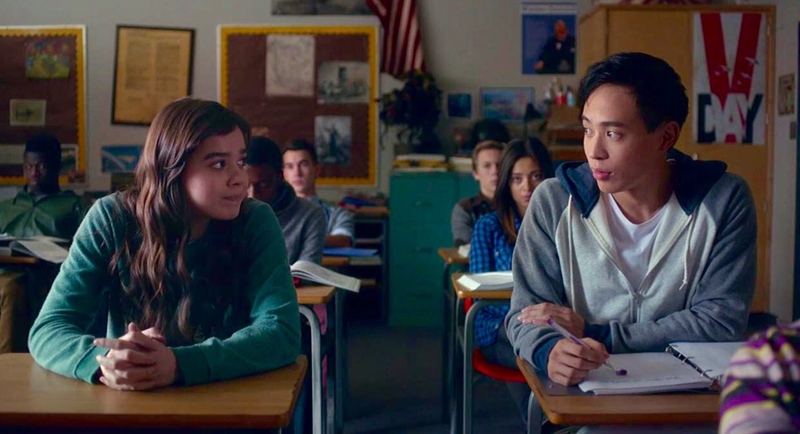 The Edge of Seventeen Works because none of them ever fall into the formulaic. My dear wife Karen and I sat in the living room, scowling or smiling as Nadine’s parade of trial and error played out on the flat screen. Like high school, the new people who popped up into her life turned out to be good or bad. Classmate Erwin, a shy and smart guy played with intelligent charm by Hayden Szeto, slowly shows Nadine a thing or two about friendship. That rebel with a pause, Nick, turns out to be a stereotype that rhymes with his first name. At the end, you’re glad for Nadine’s growth and happy that high school is far in the rear view mirror. This sounds like a sweet teen movie, Mark.